This week marks one year since the JAM Card launched it's training for businesses to become JAM Card Friendly! In that time over 8000 people have taken part in the training. 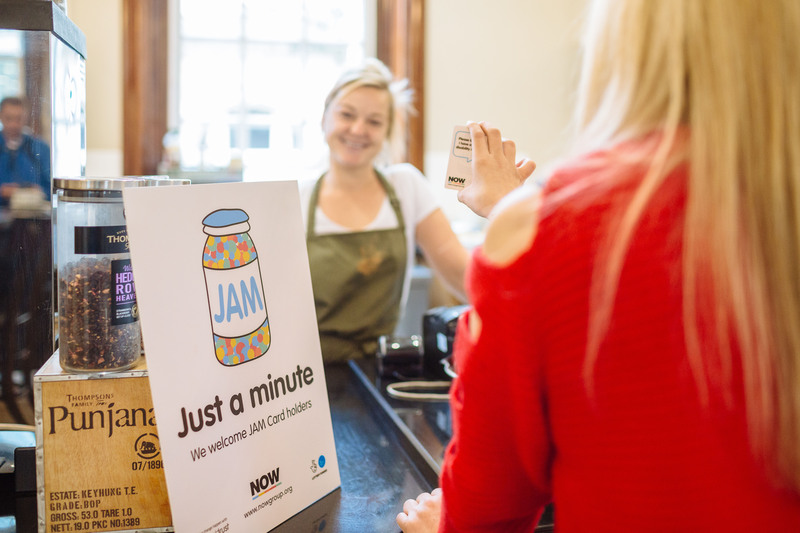 The JAM Card is a card and app that allows people with learning difficulties, autism and communication difficulties to ask for Just A Minute of patience when they need it. There are over 13,000 JAM Card users and feedback shows that they feel more confident in accessing shops and services when they have their JAM Card with them. In November 2017 we launched our JAM Card training for businesses. The training is available as an online e-learning course or face to face workshop and prices start at just £99+VAT. The training equips staff members with the knowledge they need to provide an excellent experience to all customers, once an organisation has completed the training they are provided with marketing materials to tell stakeholders they are trained and welcome JAM Card holders. If you would like to find out more about the training get in touch by email admin@nowgroup.org or call 02890 436400.